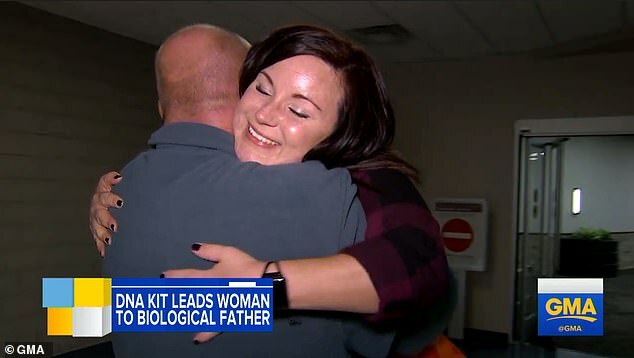 A Texas woman has met her biological father for the first time after a DNA home test kit uncovered that she was not related to the man who raised her. 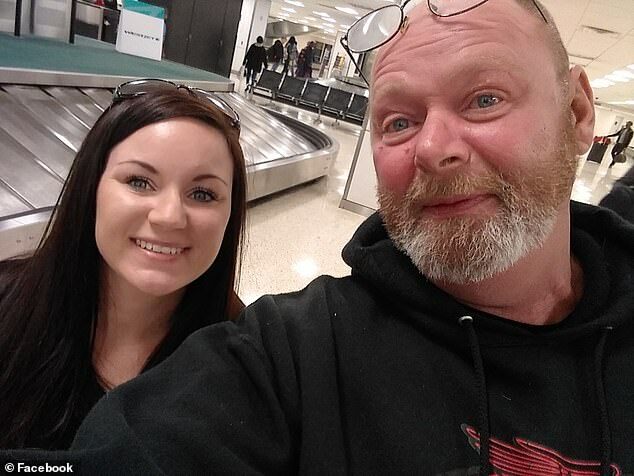 Sabrina Payne, 34, met her biological father Duane Kellems for the first time after contacting him on Facebook. 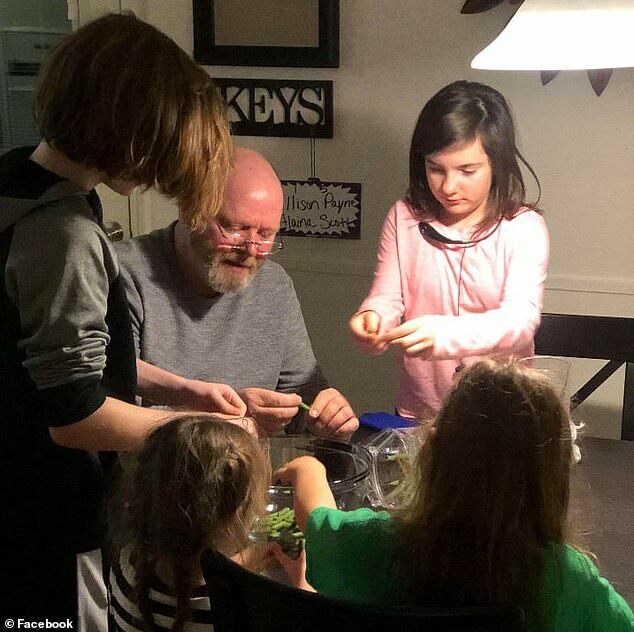 Kellems, who lives in Indiana after serving in the military, even joined his daughter and her four children for Thanksgiving at her home. It was there that he also reunited with Payne’s mother. 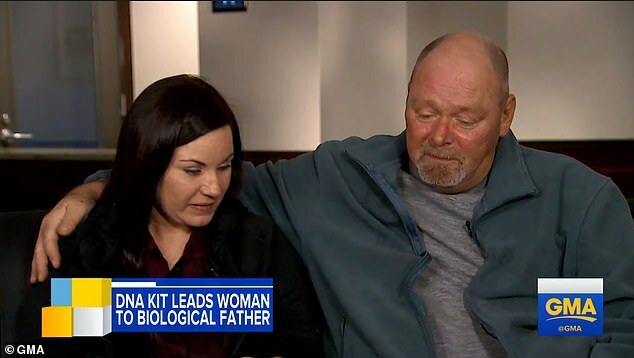 Payne, who is an EMT in Houston, told Good Morning America that the meeting stemmed from a simple DNA test that she did at home. ‘When you find out something that life changing, it’s extreme,’ she said. ‘There was never any question about my paternity. Payne said she joined a Facebook group for people who have also found out from DNA tests that their parents are not biologically related. That support group, ‘Not Parent Expected’, helped her track down her biological father. ‘I thought how do I tell this man, “Hey I think you are my biological father,”‘ Payne said. Payne eventually contacted Kellems on Facebook and asked if he had served in the U.S. military in Germany at the same time as the man who raised her. 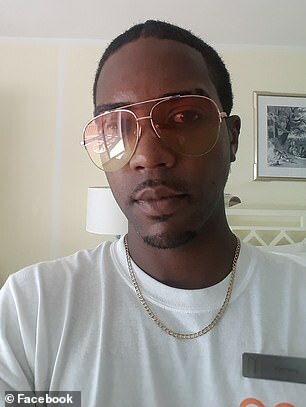 ‘He realized it was possible [they were related]… He was very accepting from the beginning,’ Payne said. The pair had their first emotional meeting just recently, saying they didn’t want to waste another minute not knowing each other. 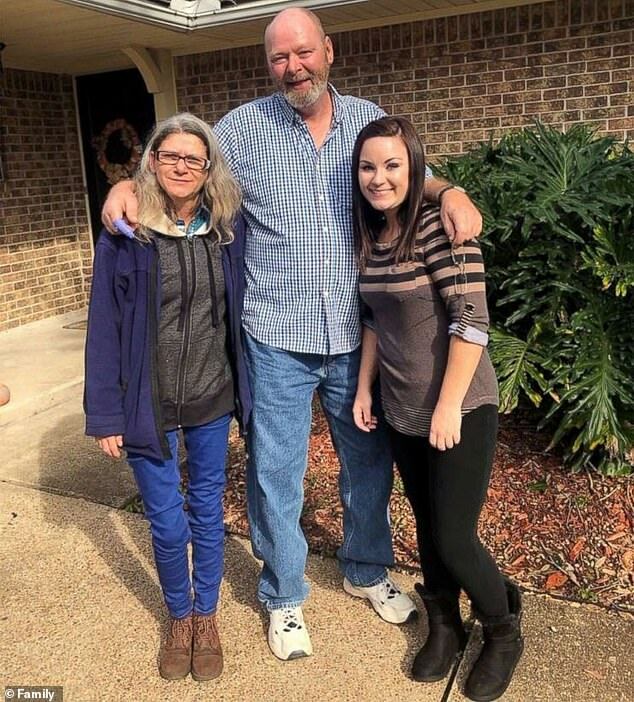 Payne flew to Kellem’s home and met her grandmother and sister. Kellems then spent Thanksgiving with Payne, her grandmother and four children.